We are offering Pipe Cap to our client. We are involved in offering a wide range of Carbon Steel Cap to our most valued clients. Our range of Carbon Steel Cap is widely appreciated by our clients which are situated all round the nation. 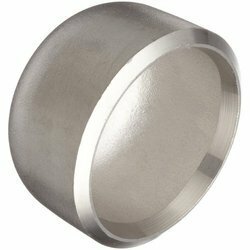 We offer our range of Carbon Steel Cap at most affordable prices. Manufacturer & exporter of carbon steel caps. Also offering carbon steel caps & carbon steel caps. 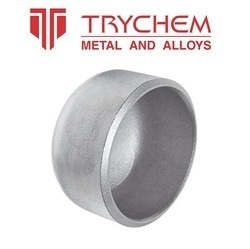 MSS SP, KS B 1541, JIS B 2312, ASTM A 234 ASME B 16.9.etc. MSS SP, KS B 1541, JIS B 2312, ASTM A 234 & ASME B 16.9.etc. We are the recognized providers of a wide range of CS Cap which are highly appreciated for their accurate dimensions and sturdiness. Our quality controllers keep their strict eye on procurement process to make sure that best products are available in our store. Our product range is highly demanded in the market due to industry leading prices.